Hosting out-of-towners hell-bent on experiencing the “real” Los Angeles? Relax. The three-day weekend has no shortage of multi-age fun to assuage/amuse/impress. You’re good to Go Go. Here’s the problem with most circus-y shows. There’s a lot going on but you’re just sitting there. As of Friday, that’s about to change with This End Up, a *cough” de Soleil-esque show with silk performances, lyra (hoop) acts, aerial bungee, fire-eating, clowning, and general circus hijinks. All acts are strategically designed to rain powder…lots and lots of multi-colored powder. The latter — organic and plant-based, from India — is flung about with happy abandon just as it is during the good-trumps-evil, Hindu love festival of Holi: the inspiration for This End Up. You’ll want to gear up as a living, breathing art canvas by wearing a white t-shirt, which you then save as your one-of-a-kind souvenir. The closer to the stage, the more messy and interactive. You’ll want to sit close to the stage. Go Go’ers, BE the circus you want to see…. 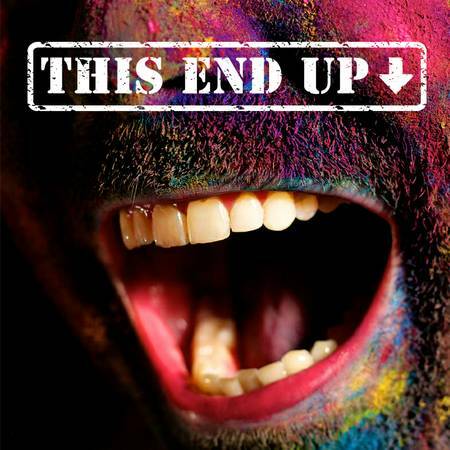 THIS END UP — Fri, April 18/Sat, April 19/Fri April 25/Sat April 26 – 7:30 – 9pm & Sun April 27 6:30-8pm. $20/all ages (loud music may be too intense for younger kids) — The Vault @ ArtWarehouse, 1641 Naud St, Los Angeles, CA 90012 For tix, go HERE. Hands-on gastronomers, your food event is calling…. If you like to play with your food (and drink), grab tix ASAP for L.A. Foodie’s Float Trip at Angel City Brewery this Saturday. You’ll mix and match three, delish Angel City beers with ice cream from three, local frozen treateries: Ramekin (home of exotic flavors); instant-freeze/fresh goodness from the Ice Cream Lab; and bicycle-churned small batch Peddler’s Creamery. Need more sweets? Mwokaji Cakery will be baking up treats. Need real food? Food trucks will be standing by. Need more beer? It’s Angel City Brewery. Duh. Go Go’ers, no need to bring your own mad scientist mixologist gear; you’ll get an official L.A. Foodie-approved beer mixing kit, which consists of cups, spoons, straws, and trays. All mixmaster mysteries will be revealed, young grasshoppers. L.A. FOODIE’S BEER FLOAT TRIP — Sat, April 19, 4-7pm. $9/21+ — Angel City Brewery, 216 S Alameda, DTLA 90012 Get tix HERE. Long live the Broke Kingdom! Put on your best get-down glad rags and head to Brokechella: the wallet-friendly “fest for the rest of us”. Now in its fourth year, the alt-gala has moved to bigger digs in order to accommodate four stages. Emerging music acts to catch before they get Cochella-big include L.A. hip hop artist/producer Azad Right, LA Font from Echo Park, garage pop band The Singles, Ril0 Kiley-esque Dark Furs, and rapper Marvel the GR8. In addition to interactive art, comedy, food trucks, and beer from sponsor Lagunitas, a new ‘chella feature is the pre-registration-only Puppychella: designated dog-friendly areas, including a lounge, for those whose dogs become tres desolee at being left behind or canine guardians who can’t imagine a fest without Fido. Note: harmonizing hounds highly discouraged. BROKECHELLA — Sat, April 19, 3pm -1am. $10 presale/$20 door; 21+ — 590 Santa Fe Ave, DTLA 90013. Get tix HERE.